You know, I had never heard or given a moments thought to irradiated cat food. I had never heard of it until I bumped into it on the internet and although information about it is far from hidden on the internet it has taken 21 months of searching for general information about cats to find this story. And what a horror story it is. But it is also a story that is so typical, I think, of the pet food business. It is clouded in uncertainty and a certain amount of cover up, I would argue. It relates exclusively to the Australian pet food market. All pet food imported into Australia has to be irradiated (subjected to ionizing radiation) to destroy bacteria, microorganisms, viruses, or insects. On the face of it this seems a good thing. I am sure it is designed to be a good thing and beneficial to the health of pets including cats. But is it also about profit? The process improves shelf life. I am yet to find out if pet food manufactured in Australia has to be irradiated. Not sure about that. Anyway one Canadian manufacturer is caught up in this; Champion Pet Foods and specifically their brand, Orijen. As stated their food is irradiated and it has been discovered that a number of cats have fallen seriously ill. The current assessment is this. Irradiating pet food changes the food as well as kill bacteria. Some experts believe that is produces within the food products that are toxic to companion animals including cats. 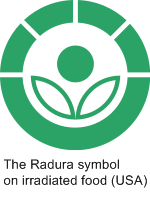 Some say the problem with irradiating food is only relevant in relation to animals, meaning it is “species specific”. This sounds wrong to sensibly minded people who are not experts. Clearly Champion Pet Foods are concerned after apparently 5 cats have been euthanized because of the damage done to their nervous system as a result of eating their cat food. However, at this stage it would seem that a definite link between irradiation and damage to the nervous system has not be established. But I confess that I am not sure about that either as a scientific study which involved feeding cats with irradiated food resulted in cats suffering damage to their nerves (the myelin sheath around the nerve fibers becomes damaged – Proceedings of the National Academy of Sciences, scientists from the University of Wisconsin-Madison (UW-Madison). This kind of degradation of myelin in humans results in diseases such as multiple sclerosis (MS). Where these animal experiments? In order to research the matter Champion Pet Foods sent samples to laboratories. On the Truth About Petfood website it is said that Champion would announce the results of these tests sometime after November 26th 2008. I have checked their website. Under “News”, the last entry is dated December 2006. I could find no information about this. I just think the problem needs to be aired a bit more. There is a fine video (see above) about it that has been seen a mere several hundred times in 3 months showing a lack of interest or knowledge of the problem, which I would consider to be potentially very important. Human food is also irradiated so this affects people directly as well as indirectly in losing their companion cats and nursing them through illness. It is claimed that the entire food structure can be changed by irradiating it. Irradiated cat food is not food as we know it (was it ever, though?). In cats the toxins referred to results in paralysis having damaged the myelin as stated. Conclusion: It all smells. If irradiated cat food is found to seriously injure cats it will have been another example of the Australian authorities making bad decisions regarding cats. The other concerns the shooting and extermination of feral cats. See Ground Shooting of Feral Cats for example. I have been following this issue closely for several months…..
blocker disabled (or disable it when prompted). These documents have now been placed in the public domain, in the public interest. Cross link, cross post, cross-question the responsible parties, use as you will, they belong to everyone. My thanks to the Australian Cat Owner who made a nice contribution to this subject. I hope it moves the matter along for the benefit of cats. I am the owner of an affected Australian cat. She ate irradiated Orijen (only as 25% of her diet) from July to December 2008. She is paralysed still in her hind limbs and incontinent however she is progressing slowly. Five months ago she was paralysed from the neck down. Firstly I want to advise that the irradiation was carried out in Australia. Secondly not all pet food coming into Australia is irradiated. Only pet food which is not cooked at 100degrees centigrade/Celsius for 30 minutes either has to be irradiated at 50kGy or sent back to its country of origin. The Australian Government has now banned the irradiation of cat food. They will no longer offer it as a quarantine treatment option for cat food that does not meet the heat treatment requirement. Other pet foods will still be irradiated if required and the manufacturers choose this option. This is of concern for obvious reasons but one good reason is that some of the cats here that were affected did not eat Orijen cat food but they did eat irradiated Orijen dog food from a companion dog’s bowl in the same household. The point to note here is that it is the IMPORTER’S choice to have the product irradiated. They have to sign an Authority to Treat in order to obtain the import licence. Inevitably for Australian Quarantine to be able to decide if irradiation might be required they need access to all manufacturing protocols in relation to the temperatures used during cooking. This inevitably means that the manufacturer would be aksed for these and therefore be aware of what was happening and why. Therefore for Champion to have claimed that they were unaware that irradiation was taking place is hard to believe. On the subject of Orijen having been irradiated in Canada for sale to Canadian and U.S.markets and that they have remained unconcerned about this I would like to know more please. As well as this person’s cat reported here, we in Australia are aware of four more cases of cats eating Champion Petfood’s cat food and falling prey to ataxia, in the USA and Malaysia and we believe one in Europe/UK. Anyone who has more information on this please post via this website so that I can give you a link to a pet chat forum where you can send me a personal communication via the Private Messaging system. The affected food was sold from 10/2006 through 11/2008. The food was only recalled in Canada & Australia because that’s where the majority of the irradiated food was sold, however, some of the food from these plants did make it into the U.S. & resulted in 27 cases where euthanasia was the only resolve since it wasn’t caught early & resulted in severe neurological damage & paralysis that couldn’t be reversed. She also stated that as it turns out, Champion foods has never been held accountable for this problem & refuses to admit there is even a problem. Irradiated food is now forbidden in the U.S., but they are still shipping to Australia irradiated. It is basically M.S., while there is no cure, there are things that can be done to lessen the effects without extensive surgury. She mentioned that there was a treatment, but it is stem cell based.